Super full moon Virgo-Pisces, go inside allow the healing process! This polarity Pisces-Virgo in which the full moon is, activates the final healing, the transformational process, initiation and ascension. But not before” i feel to heal”, and realize those illusions that are keeping me separated, as ego wants. Our inner child is expressing the wound, listen, accept this old pain and receive the healing, hugging yourself and growing in love and connection with yourself. Pisces is the call for reunion and Oneness, total healing, is the possibility of coming back home! Give yourself the gift of spending time: letting go… focusing in this need. Breathing… yes. Make space for the reception of the healing you need. Feel to heal, stay in this inner pulse, decide to restore everything now. Use affirmations to choose your thoughts, and infect the quantum field. You will be re-connected into your true nature of love and divinity, your true self, the Love, Light and Power you carry inside of you! Never before has it been more important for each one of us to stay committed to our deep inner work and evolving ourselves – so we can evolve together our New Earth at this critical time.Inner peace is essential for world peace. We can use our powerful tool, conscious breathing, Intention, plus ritual, invoicing Divine help, deciding… and we need to own our unresolved energy-wound-conflict-etc. Then, conscious breathing, feeling-healing and the Sacred and Magnificent Violet Flame always ready to increase transformation. This TotalSoulGym Experience i offer, includes everything to live a sacred day-to-day life. For sessions find more information in this site. Open your mind and your heart, name your unresolved energy(symptoms, illnesses, fears genetic, collective, guilt, shame, sorrow, everything) feel , own your wound, decree your intention of receiving the perfect healing codes just for you. Affirm your Intention of restoring your physical DNA, chakra system and bodies of energy, affirm you choose, healing and expressing your true self now. 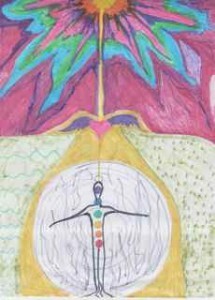 Connect to Mother Earth now, developing strong routes to her centre. Now breathe in and breathe out, letting go energies-ilusions-inherited and collective fear, guilt, sorrow, pain, habits that no longer work for you. Receive everything you feel, embrace your old and present emotions in your heart, receive this info your body is giving to you. Just feeling, accepting how and what you feel will transform you.Breath out, and let go everything now..
Don’t stop using the breathing to release and open more space inside.Make space for new things you long for, to come and manifest. Land there, this is your true base. Feel the Oneness… join the divine love, unite with Earth and Heaven in your heart. Breathe. This is what assists you in finding a greater balance for yourself in your life. Sometimes in your everyday life when you are having physical symptoms it is because you need to re-connect and grow more love for yourself inside(each organ represents the subjects you must focus in) Emotional pain must be acknowledge, if not your body will express it. Emotional pain, inherited collective pain need to be released out of our bodies now. Breathe in deeply. Feel yourself as you’ve become this lightbody energy or this crystalline energy that you are. in Love and Service, much Love! Previous post: Fall in love with yourself, and be indestructible! 8-8-8 Gate now!